Indian woman Vedangi Kulkarni becomes the fastest Asian to cycle the globe; completes 29,000 kilometers’ distance required to qualify as bicycling across the globe. The 20-year old Vedangi cycled into Kolkata in the wee hours on Sunday, completing the 29,000 kilometers’ distance required to qualify as bicycling across the globe. Vedangi spent 159 days peddling up to 300 kilometers a day in 14 countries. Starting off from Perth in July, she will now be flying back to the Australian city to complete the record by cycling a 15 kilometer distance to reach the same place from where she started. British adventurer Jenny Graham (38) became the fastest woman to have cycled the globe in 124 days in 2018, which was three weeks faster than the previous record. Vedangi, who hails from Pune, is a student of the University of Bournemouth in the UK pursuing a degree in sports management, said preparations for the ride began about two years ago with long cycle rises, getting the equipment including a specially crafted cycle and planning the route and time window. 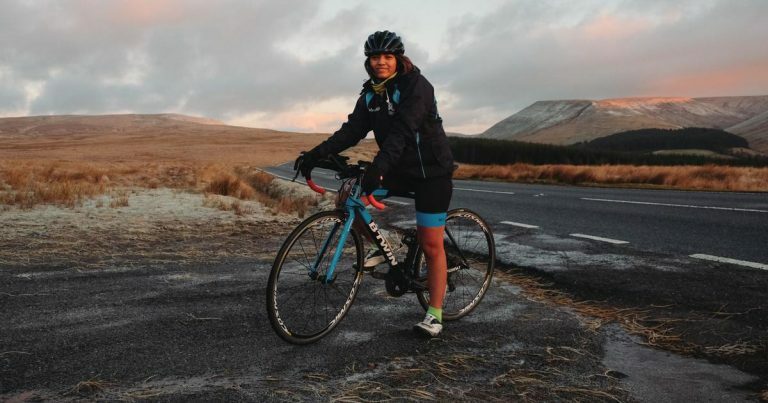 She did not have anyone accompanying her for over 80 per cent of the route, and lugged the cycle with the heavy luggage that includes cycle tools, camping equipment and clothing in desolate stretches all alone. The ride was funded majorly by her parents. A short flight took her across the international dateline to Western Canada’s Vancouver, from where she continued her eastward journey till Halifax, a port city. Europe beckoned next and she chose the chilly Iceland to start and later cycled through Portugal, Spain France, Belgium, Germany, Denmark, Sweden and Finland to enter Russia.